Pumps circulate water from one area to another. Types of pumps that BIMS services include: HVAC, circulatory, booster, sump, and process. HVAC pumps are those seen circulating water for heating or cooling purposes, such as in chillers, boilers, cooling towers, and geothermal/water source heat pumps. Plumbing pumps, such as circulatory, sump, and booster, are used in indoor plumbing systems or building drainage systems. Circulatory pumps are very simple and circulate hot water throughout a structure to keep it readily available. Booster pumps are used in instances where the water pressure might drop, such as in high-rise buildings or if municipal supply is low-pressure. Sump pumps are used to pump effluent and other such sewage, run-off, or “gray water” away from a building and into drainage waterways or sewers. Sump pumps often are seen in basements of commercial buildings or low-level structures. Lastly, process pumps are used to circulate chemicals, whether water or other liquids, for industrial or manufacturing purposes. Many of these pumps are automated; thus, we can help whether there is a mechanical or electrical/control issue.  At BIMS, our team of highly trained service technicians is available 24/7 to ensure your pump is repaired quickly and correctly. We pride ourselves on giving quality service that is focused on ensuring longevity of the whole system, optimizing efficiency, and centering on the source of the problems versus only alleviating symptoms. Much like a doctor, we want to treat what’s causing the fever rather than only treat the fever. We also understand how precious keeping a business in operation is. Thus, if something goes wrong, we will work with you to get the problem resolved so that “down-time” is kept to a minimum. If, worst case scenario, the pump needs replacing, our team will work diligently to ensure the process is as flawless and as quick as possible. For any issue, BIMS has access to a vast network of distributors for parts and equipment (including those hard to find). Keep your pump system performing at its optimal level and help ensure its long life by having it properly maintained. This preventive maintenance keeps the pump operating at peak efficiency, minimizes unnecessary repairs and down-time, and helps keep energy costs low. This service keeps your system clean and in good working order. It also helps prevent smaller problems from becoming larger, more costly problems. Call us today at (214) 467-2653 if you have any questions about pumps and/or are having issues with your pump system.